A creamy, risotto that's not only delicious but very easy and quick to prepare. Lightly trim the green asparagus and cut the stalks into 2-inch lengths. Cook in boiling water for 2 minutes and add a pinch of Bicarbonate of soda to the cooking water to maintain the beautiful green colour of the asparagus. Remove the asparagus when they are still crunchy and put them aside. Let the water cook until reduced, then add it to the chicken broth and put it aside for later. Cut the zucchini lengthwise and de-seed by removing the central part of the zucchini using a small teaspoon. Then cut this flesh into small dices. Prepare the basil oil. Mix the basil with the olive oil and add salt and pepper to taste. Heat the olive oil and butter over medium heat in a saucepan. Add the finely chopped, thyme and shallots. Add the rice, cook, stirring frequently, until the edges are translucent for about 2 to 3 minutes. Add 1/2 cup of hot broth; cook, stirring, until almost absorbed. Continue adding 1/2 cup of broth in this manner until the liquid is creamy and the rice is al dente. This should take about 20 to 25 minutes in total. Add one last ladle of broth and let it cool. In a large skillet, sauté the diced zucchini with some olive oil. Heat up the asparagus in a little bit of oil or steam them. Heat the risotto over low heat. Add the cream, Parmesan cheese, asparagus (but keep some aside for decoration). Serve decorated with some asparagus tips, the basil oil and a block of Parmesan cheese on the table. Jochen Dreissigacker is justifiably proud of his 2016 wines. Based in the Rheinhessen, he farms organically in the region of Bechtheim. 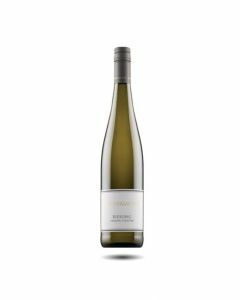 This Riesling is hand harvested and fermented at cool temperatures to preserve the natural purity and fruitiness. It has lovely, crunchy, green apple fruit and acidity, with good concentration which makes itself felt on the palate. This is an elegant, very well balanced with great stone fruit flavours. Serve with salads, fish and vegetable dishes. 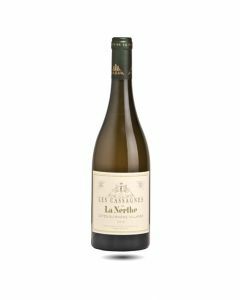 This is a new wine from the wonderful La Nerthe estate in Châteauneuf-du-Pape, the southern Rhônes most famous winemaking village. This lovely, expressive, crunchy fruity white wine is made from a blend of 50% Viognier - 25% Grenache Blanc - 25% Roussanne organic grapes. Planted on terraces of south facing garrigue stones, sandstone and sand, the vines are warmed by the sun but kept cool and dry by the famous Mistral wind of the Rhône Valley. 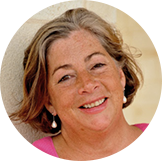 Almost all Southern Rhone wines are made from a blend of grapes and this mix gives great depth of flavour to the wine; you can pick out the floral, honeysuckle notes; then the stone fruit flavours mixed with luscious mango and pineapple and finally spicy notes of almonds and cinnamon. There is great balance and smoothness here and the wine marries well with poultry dishes, creamy sauces, poached fish and rich salads.